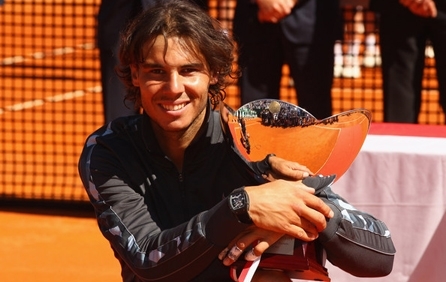 The Monte-Carlo Rolex Masters is a top men's tennis tournament. EasySportsTickets.com is your way of getting great Masters Series Monte Carlo tickets! Played since 1897 at Roquebrune-Cap-Martin, a southeastern France community located between Monaco and Menton, the Monte-Carlo Rolex Masters is part of the ATP Masters Series, played as part of the Association of Tennis Professionals Tour. Getting a good deal on tickets to such a high-end event isn't easy – unless you buy Masters Series Monte Carlo tickets through EasySportsTickets.com! A leading online ticket provider since 1994, our exclusive access to the best seats at worldwide sporting events guarantees you great value for money on Masters Series Monte Carlo tickets! EasySportsTickets.com offers a wide range of deals and we are sure to find one right for you. Click here to buy Masters Series Monte Carlo tickets. Order Now Securely Your Masters Monte Carlo tickets and Get in the Game. Get Best Value Masters Monte Carlo Tickets. We’re sorry, Masters Monte Carlo tickets are currently not available. Sign up for a Masters Monte Carlo tickets alert and we will let you know as soon as we have tickets available for sale. Please enter your email below for a Masters Monte Carlo updates! * You will receive Masters Monte Carlo email alert immediately once the tickets you're looking for become available. * Don’t Miss out the Masters Monte Carlo event.